Air Charter Advisors is your dedicated partner for private jet rentals, helicopter transfers and luxury yacht and catamaran charters across the Indonesian island of Bali. Chartering a private flight to (WADD, DPS) Ngurah Rai–Denpasar International Airport is the most comfortable, secure and stylish way to begin your Balinese holiday, and our team is available to you 24 hours a day, 7 days a week to handle all aspects of your private air travel. 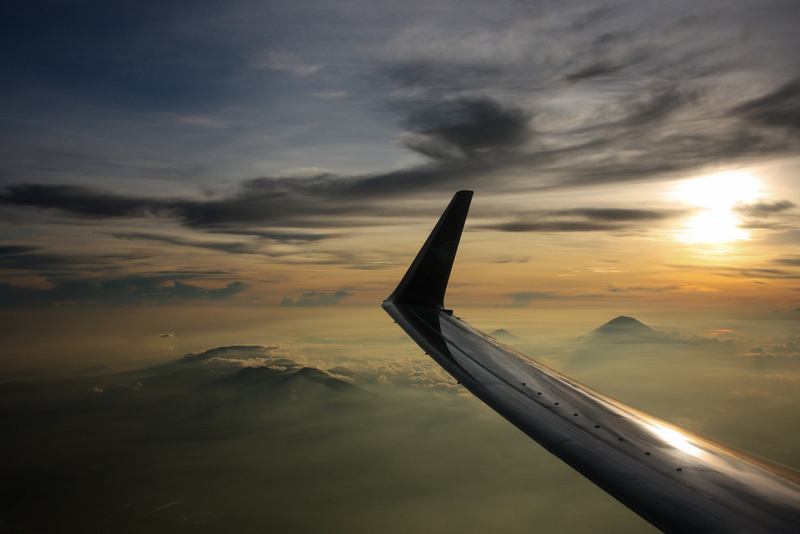 ACA arrange on-demand private air charter service to/from Bali, and with access to thousands of planes located around the world, we can connect you to the perfect aircraft for your flight. Please Note: While ACA arranges private jet charter service from international destinations to Bali, we do not arrange flights only traveling between islands, for example, Bali to Lombok. Flights to Indonesian islands such as Java, Sumatra and Sulawesi can be arranged by ACA when provided with the appropriate amount of time to perform the safety and maintenance checks we require for each flight. The number one priority at our company is the safety of every one of our clients. We’ve gone the extra nautical mile to become a Wyvern-certified broker, one of the highest accreditation standards in private aviation. ACA uses Wyvern’s reporting tools to go over aircraft maintenance, operator history and pilot experience for each flight we arrange — the aircraft we use for flights to/from Bali are all operated by FAR Part 135 or 121 (or foreign equivalent) air carriers, giving you peace of mind when arranging your flight with us. Our clients have included royal family members, executives from major corporations, celebrities, personal assistants and leisure travelers visiting this tropical paradise, and you can join them with your own private charter flight. Enjoy the peace of mind you get from working with an air charter company you can trust, and we’ll become your comprehensive aviation solution for luxury air travel, aircraft acquisition and private jet management. Consider our Private Jet Charter Bali team your comprehensive solution for all things private aviation in the Indonesia. Call or request a quote for your jet charter flight to Bali — our team is available 24/7 to assist with all of your private aviation needs. ACA has access to the following Wyvern-certified aircraft for your private flight to Bali, Indonesia. All of the aircraft we utilize for charter service are operated by FAR Part 135 or 121 (or foreign equivalent) air carriers, using only veteran pilots in the jet you’re renting. Our brokers will provide you with a variety of aircraft options based on the goals and budget of your trip, allowing you to charter a cost-effective aircraft, or the most luxurious, stylish corporate jet on the market. Check out our Aircraft Gallery for more details on all of the aircraft available for your trip. 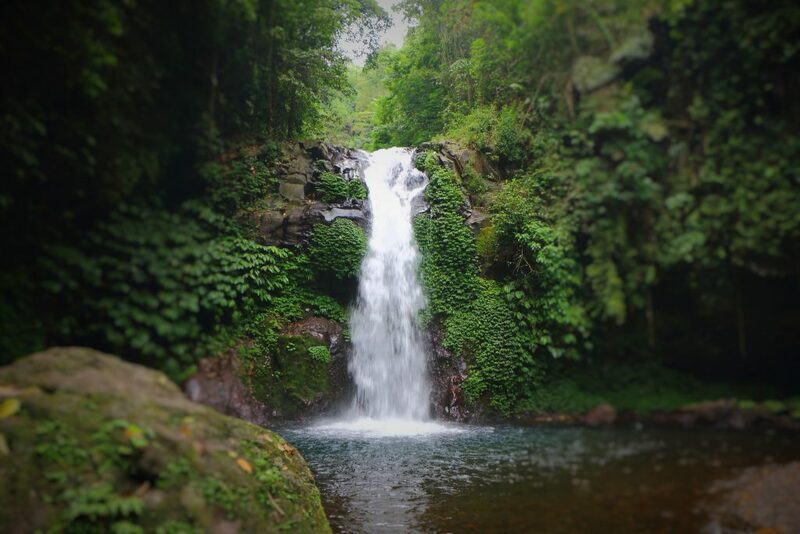 Fly private to Bali, the famed Island of the Gods, home a variety of picturesque landscapes including hills, mountains, rugged coastlines, sandy beaches, lush forests, and barren volcanic hillsides. These scenes combine to offer a beautiful setting for one of the most colorful, unique, and deeply spiritual cultures on the planet. Bali makes a great wedding, honeymoon & anniversary destination, and ACA can accommodate everything from romantic couples to entire wedding parties. 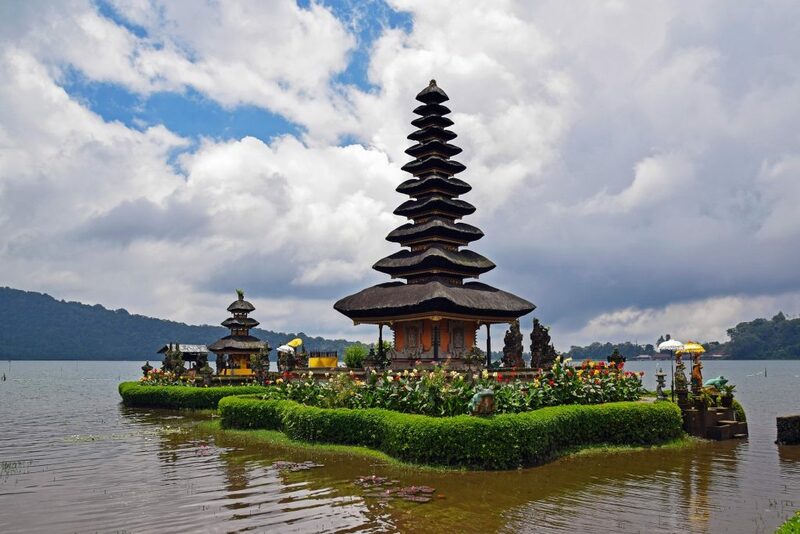 Students fly private to Bali for the ultimate spring break, and visitors from around the world escape the cold & snow for a luxurious winter holiday in this paradise along the Java Sea. Bali, the luxurious island paradise in Indonesia, offers plenty of activites and attractions for private luxury travelers. After arriving on the island, you’re free to explore black sand beaches, coffee plantations, rice terraces, archaeological ruins, ancient temples, relaxing coastal villages, secluded offshore islands, national parks & gardens, an active volcano, and the looming Mount Agung. Kuta offers plenty of shopping and night-life, while Jimbaran offers an array of sea-side resorts and seafood restaurant. Seminyak is the most chic spot on the island, home to beach-side resorts, trendy nightclubs and fine dining restaurants. The island is also home to several cultural, historical and archaeological attractions, and visitors can enjoy activities such as golf, hiking, yoga, cycling, horse backing riding, bungee jumping and local tours; water-sports around Bali include scuba diving, free-diving, surfing, sailing, yachting, white-water rafting, sport fishing, and canoeing. Bali is home to a wealth of some of the most exclusive luxury resorts on the planet — tourism-related business makes up 80% of the island’s economy. From seaside luxury resorts to private villas and estate properties, there’s an accommodation for every traveler. Check out our top choices for luxury hotels and resort in Bali. Are you interested in becoming to captain of your own Balinese voyage? 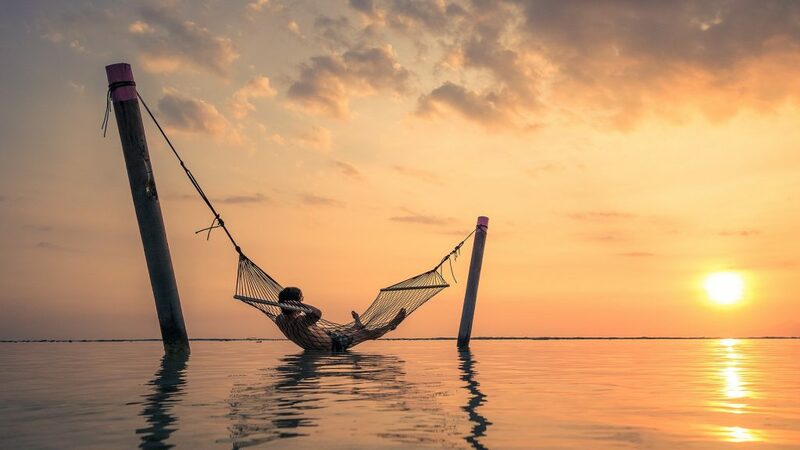 Air Charter Advisors can seamlessly connect you to the perfect luxury yacht charter during your holiday in Bali! Whether you’re looking for a private catamaran, sailboat, or a luxurious mega-yacht, we’ve worked with yacht operators around the world to add the perfect yacht charter to our clients itinerary. Discuss your goals with one of our brokers during your vacation in Bali; we can accommodate budgets up to seven figures per week and beyond. 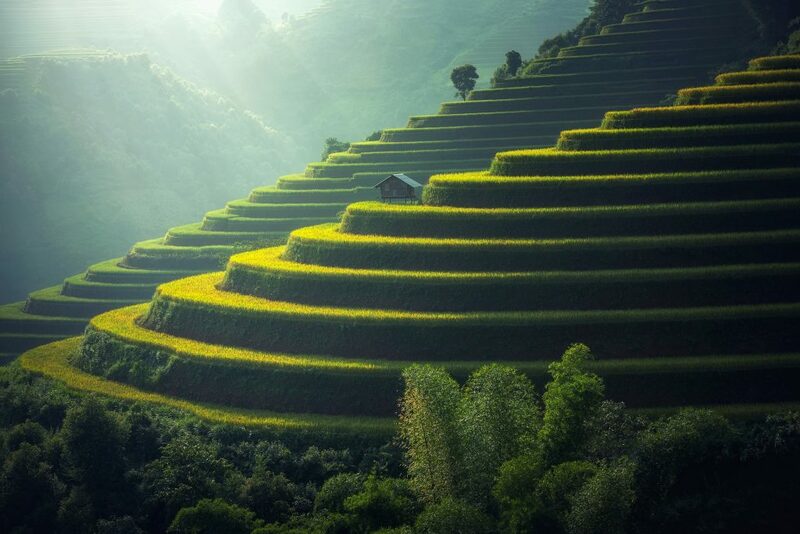 Set sail across the Java Sea by adding a yacht charter to your trip to Bali, Indonesia. Air Charter Advisors arranges private jet charter service to/from Bali and surrounding islands of Indonesia using the following airport. If you don’t see your preferred airport listed below, please contact us to review the options for your charter flight. 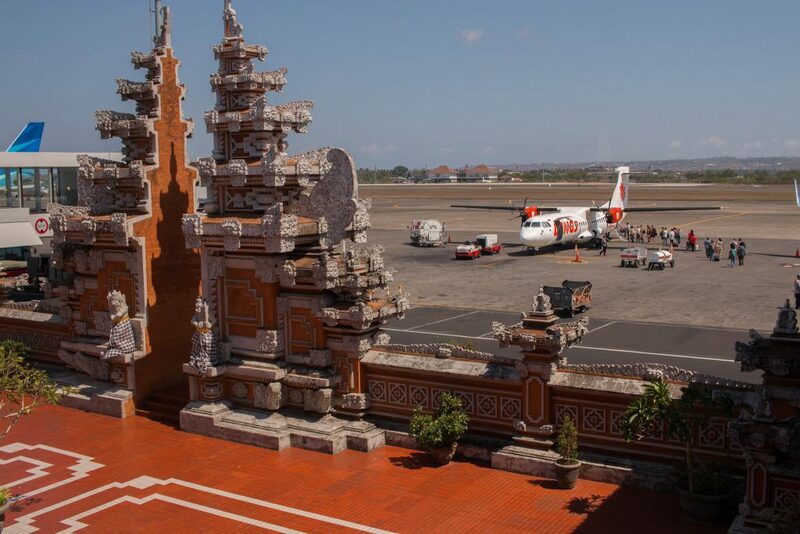 Fly private to Ngurah Rai International Airport (IATA: DPS, ICAO: WADD), also known as Denpasar International or I Gusti Ngurah Rai International, the main gateway to Bali located 13 km south of the capital city Denpasar. Ngurah Rai is Indonesia’s third busiest airport, handling nearly 20 million passengers annually, and its passenger totals have more than double over the past 10 years — the Airport Council International named it as the world’s 3rd best airport (15-25 million annual passengers) in 2016. (WADD, DPS) Ngurah Rai–Denpasar International is capable of handling any size private jet, including aircraft up to the size of a Boeing 747-400; private aircraft can utilize its single 9,842-foot asphalt runway, and travelers can quickly arrive/depart using a private terminal operated by ExecuJet. Clients can also choose to arrive at Lombok International Airport (IATA: LOP, ICAO: WADL), the only airport located on the Indonesian island of Lombok. Lombok International replaced the island’s only airport, Selaparang Airport (IATA: AMI, ICAO: WADA), after its official inauguration by the President of the Republic of Indonesia in 2011. Private jets of any shape and size can arrive/depart from (WADL, LOP) Lombok International Airport — runways here can accommodate an Airbus A330 and Boeing 767 airliners, as well as smaller airliners including a Boeing 737 and Airbus A320. Facilities at Lombock Int’l include a 9,022-foot asphalt runway and a 16,500 m² terminal, and both have future expansion projects slated for 2028. Request a Quote or give us a call at 1-888-987-5387 to speak with one of our Bali Private Jet Charter service brokers for your next luxury vacation or special event in Indonesia.